Bangalore based consultancy firm engaged in Accounting, Payroll, Income-Tax, Sales Tax, Service Tax, DGFT, import, export licensing, setting up of 100% EOU’s, STPI’s. Handling matters related to, Central Excise, Customs and much more. 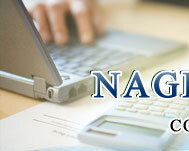 Nagesh & Associates is a team of experienced professionals and tax consultants, who have worked for the MNC companies and also attended for the audits with Big 4 audit firms. Has been rendering services in MNC companies involved in manufacturing, research and development, real estate, services, etc. since 1995. Formulating accounting systems and procedures. Payroll advisory, processing and disbursement. Monthly tax remittances and filings under various tax laws. Remittance of taxes / contributions and filings under various labour laws. Registration of Units under Export Oriented Unit Scheme. Obtaining LOI from Development Commissioner. Obtaining warehousing licence under section 58 of the Customs Act, 1962. Handling all customs related matter with respect to import and export of the goods by the EOU Unit. Submission of monthly/quarterly/yearly returns to the concerned department. Assistance in procedural compliance and attending assessments on behalf of clients. 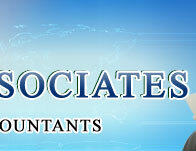 Consultancy in Sales Tax, VAT etc. New Registration/Amendment of the RC of the Unit with the Central Excise department. Obtaining CT1 certificate for export by third party. Execution of UT for supplies to SEZ. 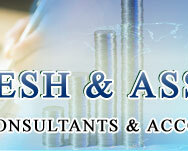 Copyright reserved for Nagesh & Associates, Website Designed & Hosted by Adsinmedia Pvt Ltd.